In the children's section of the Dallas Public Library, they are always trying to teach kids new things. But sometimes the old things, get the best response. We were there as they read "The Tale of Peter Rabbit" to a room full of little kids, and the responses were priceless. "It was just about a naughty boy," Miken MomPremier exclaimed. The book was written 116 years ago, and it is one of the most valuable books in the library's massive children's collection. "It comes out probably three or four times a year, because of its value we do want to keep it in the vault," said the library's curator Jonathan Carr. The copy the library has is valued at more than $100,000 dollars. 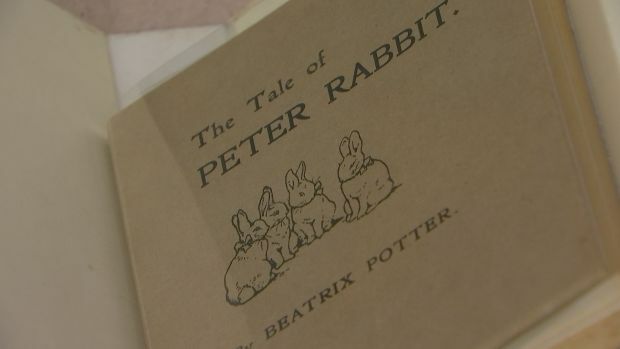 It's a first edition of the book, meaning one of the first copies that Beatrix Potter ever made. "Her father kind of supported her but her mother thought it was ridiculous that she was writing books, she lived at home," said Carr. He went on to say that Potter came up with the story in a series of letters she was writing to a friends 5-year-old son. Some of the illustrations from her original letters are almost identical to what ended up in the book, but when she tried to sell the book, "no one wanted to publish it she was very insistent on how the book look," said Carr. Not only did Potter draw every image in the book, she insisted on printing in black and white so her story remained affordable. 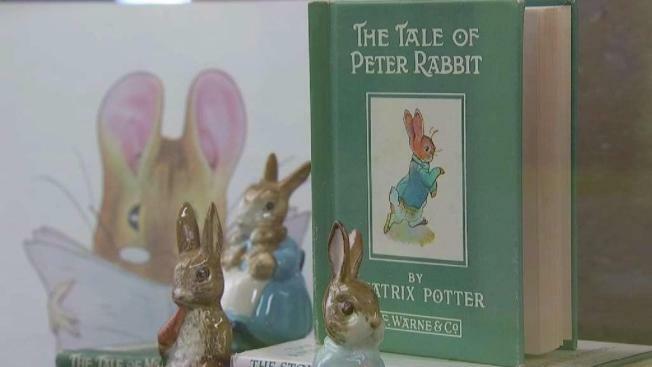 She wanted thick pages, so a kid could easily turn them, and she was adamant about the books size -- small enough to fit in a child's hands.In order to get "The Tale of Peter Rabbit" published, Potter ended up paying out of her own pocket to print it. Today the book that no one wanted to publish has been turned into a big budget movie. Potter may never get all the credit she deserves, but if you ask the audience she was writing for, like we did at the Dallas Public Library, it's obvious it's still a classic.